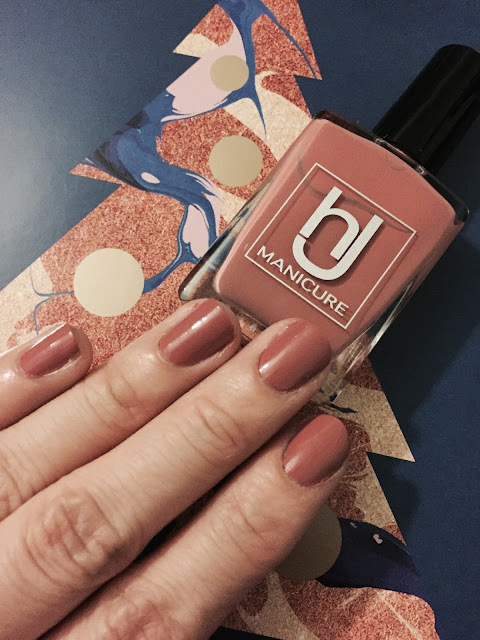 I haven't heard of HJ Manicure before, not until I stumbled across them on Instagram, entered their prize draw (which I'd never win anything), and I did win a bottle of their nail polish! I went straight to their website and settled on the colour Coco. It is a pinkish browny colour. It reminds me of the autumn leaves. It is a nudy colour that can be worn all year round. HJ Manicure only launched in the UK Aug 2014. They are specialised in "5 free nail polish" - free from "Toluene, Formaldehyde, Formaldehyde Resin, Di-­butyl phthalate (DBP) and Camphor (all preservatives that can be linked to cancer and skin irritations), as well as Animal Derivatives". All the polishes are vegan friendly and cruelty free. What amazes me greatly is the formula. It feels so buttery to apply. It is not too thin, not too thick, yet one coat covers my nails really well! The nail polish glides on my nails to give an opaque & even finish. I put on 2 coats just out of habit, but one coat is opaque enough if you are short of time. 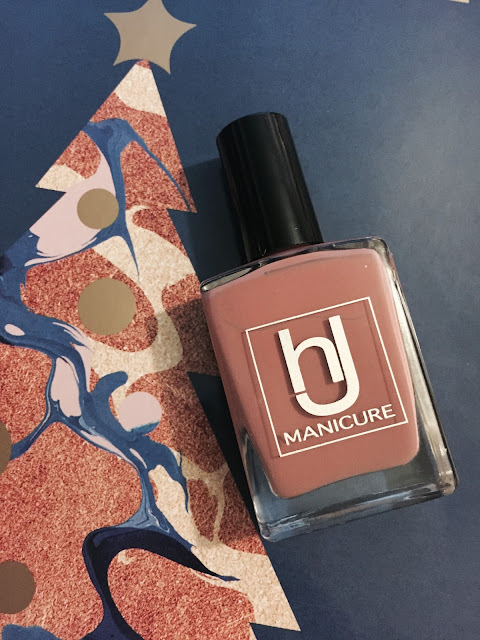 To be honest, it is really hard to find a nail polish brand that is free from harmful chemicals yet with great formula and have great range of colours! £9.50 a bottle is fairly affordable too! HJ Manicure has certainly ticked all these boxes!! I am sure they must have a base coat & a topcoat in their range but can't see those on their UK website. A non toxic base coat would be so beneficial as that's layer that has direct contact with bare nails. I can't wait to try out more colours! Their metallic electric blue "Midnight Sky" and pale lavendery "Thunder Storm" look stunning!